Overstock. 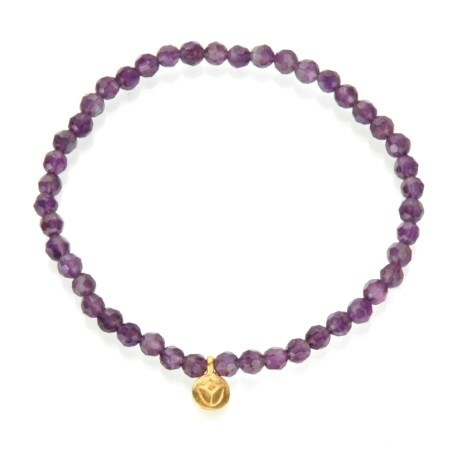 Handmade in the USA from amethyst stones and an 18kt gold-plated brass charm, this SATYA stretch bracelet inspires you to tap into the goddess within. Available Colors: PURPLE. Sizes: O/S.